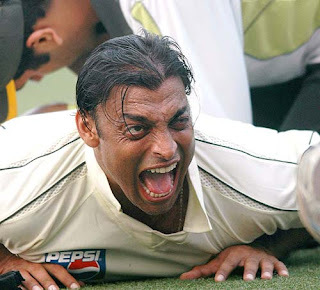 "The medical board has reported that Shoaib Akhtar was suffering from genital viral warts and the wound needs further care and treatment for another 10 days," the PCB said in a statement. Warts wrong with his bowling action again? Gotta love the way the Pubic Commotion Bureau handled this one. getting the taste of his own medicine...? Im not sure its honesty SP... its quite an excuse - genital warts! NC, ur not far off.. So they disclosed publicly that he has Herpes? Interesting. Wonder how his Bollywood pals will handle that bit of news. ROFL.